Type and Characteristics - Single screw, bark-rigged sloop, Galena-class, built by Mare Island Navy Yard, CA, wooden-hulled, laid down 4 September 1872, launched 27 December 1883, commissioned 25 May 1885, 1,900 tons, 216ft long x 37ft beam x 17ft 6in draft, armed with 1-60pdr and 1-8in/8-9in guns (Conways - 1-8in, 1-5.3in RML and 6-9in smoothbore guns), 10kts, 230 crew, first commanded by Cdr Benjamin FDay. Log Period and Areas of Service - 1883-1921, Pacific Squadron, coasts of Central and South America, South and Central Pacific, Alaskan waters, Philippines. 27 December 1883 – The second Mohican, also a steam sloop of war, was laid down by Mare Island Navy Yard, Calif., 4 September 1872, funded with the repair money allocated for the first Mohican; launched 27 December 1883; sponsored by Miss Eleanor W. Much; and commissioned 25 May 1885, Comdr. Benjamin F. Day in command. 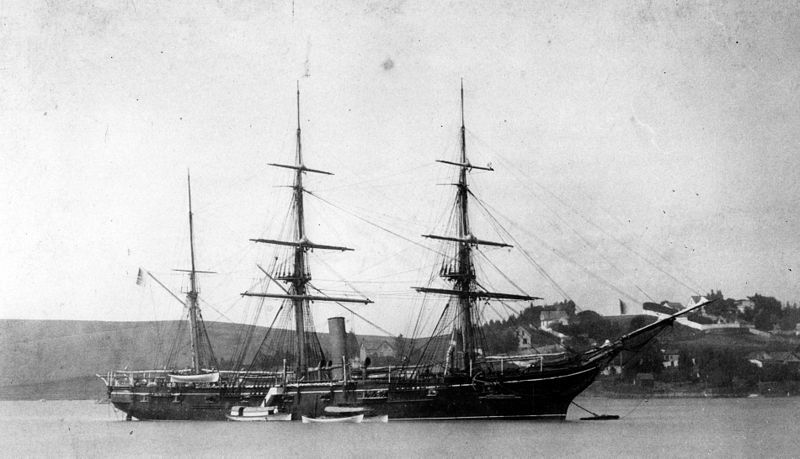 27 June 1885 – Tour of duty with the Pacific Squadron. 1 August 1888 – At Mare Island Navy Yard for repairs. July 1889 – Returned to the Pacific Squadron. 9 April 1891 – At Mare Island Navy Yard for repairs. 19 June1891 – Patrolled northern waters to assist the Bering Sea fishing fleet. 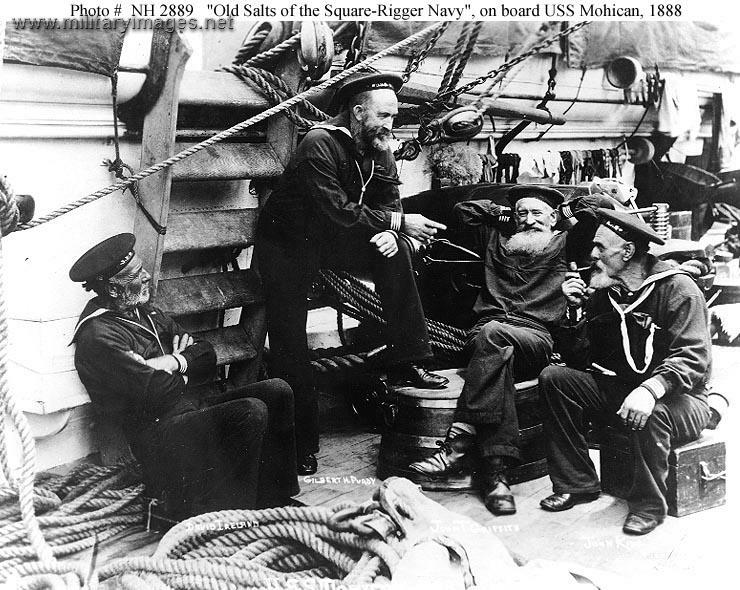 29 January 1893 – Sailed to Hawaii, then returned to her Bering Sea patrols. 8 October 1884 – Returned to San Francisco, patrolling the Pacific coast. 16 September 1895 – Was decommissioned at Mare Island. 8 February 1898 – Recommissioned because of imminent danger of war with Spain; she made two voyages to Hawaii. August 1898 – Assigned duty as a school ship for landsmen at Mare Island, cruising the Pacific. 8 April 1904 – Assigned as station ship at the Naval Station, Olongapo, Subic Bay, Luzon, Philippines. 30 December 1909 – Ordered to additional service as tender for submarine divisions, Asiatic Fleet. 17 March 1913 – Designated receiving ship at Cavite and stationary tender, 1st Submarine Group, Torpedo Flotilla, Asiastic Fleet. Fate - Decommissioned at Cavite, Philippines in October 1921, sold March 1922.